Welcome to ProService Electronics Group - Official Webpage! 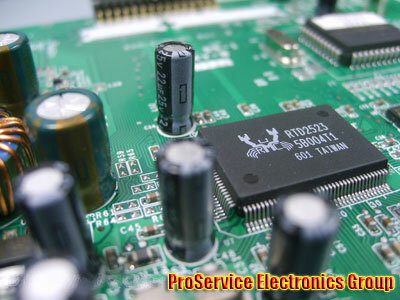 ProService Electronics Group are dedicated individuals taking pride in what they do. As factory trained technicians, we are constantly upgrading our skills and training to keep aligned with technological advancements in the electronics industry. 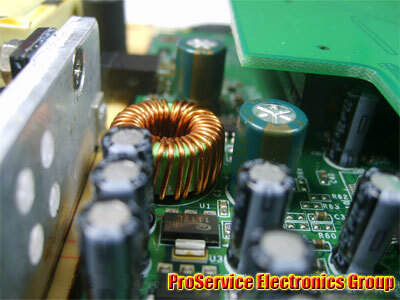 We have been servicing the electronic industry since 1998. We strive to provide fast, reliable and guaranteed service to both our consumer and professional audio and video electronics repair market. We provide high quality, convenient and comprehensive repair of electronic equipment at a competitive cost. Our goal is faster turn around time that will improve our service. ProService Electronics Group has been servicing a wide array of electronic equipment:LCD TV's, video projection TVs (DLP), CRT TVs, plasma TVs (PDP), CRT monitors, LCD monitors, video projectors, inkjet printers, laser printers, multifunctionals, thermal transfer printers, cash registers, faxes. We are an authorized service centre for most major HiFi producers present in Canada. We provide standard warranty repair services for: Viewsonic, Hyundai, Benq, Sylvania, AOC, Xerox, LG, Epson, Canon, Toshiba, Brother, Citizen Magnasonic, Envision, Daytek, Royal and Samsung. It is the goal of our firm to provide good quality and friendly service while doing so at a competitive price.